Properties in Reedville average 4.8 out of 5 stars. Historic Bay Home with Private Beach and Incredible Views! Property 4: Historic Bay Home with Private Beach and Incredible Views! Property 5: Best View On The Bay! The Ultimate Chesapeake Bay Experience! 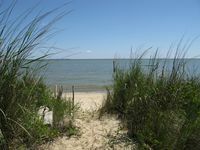 Property 7: The Ultimate Chesapeake Bay Experience! Property 10: Bridge Creek Retreat!!! BarnHouse Retreat; Waterfront Views, Private Dock, and Room to Explore Nature! Property 19: BarnHouse Retreat; Waterfront Views, Private Dock, and Room to Explore Nature! Waterfront Cottage On Candy Point: Family-Friendly and Dog-Friendly! Property 23: Waterfront Cottage On Candy Point: Family-Friendly and Dog-Friendly! NEW! Northern Neck Waterfront Home w/ Dock & View! Property 31: NEW! Northern Neck Waterfront Home w/ Dock & View! We thoroughly enjoyed our stay in your &quot;Rivah Home&quot;. It was so quiet and we love walking along the beach. The home is very nice and every thing we needed was supplied. The homeowners are very accommodating and always available if needed. It is hard to put in words how much we enjoyed our time at your home. It was perfect for my husband and I. We hope to be back real soon! Perfect for a special getaway . Peaceful beautiful with endless opportunities . This property has it all and you won&rsquo;t be disappointed . The owners were above and beyond helpful the house is equipped for all your needs and wants . The only wish we had was for a longer stay.